The Southeastern Pennsylvania Organization of Nurse Leaders was chartered in 1986 as the Southeastern Pennsylvania Organization of Nurse Executives as an affiliation of the Pennsylvania Organization of Nurse Leaders (PONL). The name of the organization was changed to Southeastern Pennsylvania Organization of Nurse Leaders to reflect a changing philosophy that focused on nursing leadership. The primary mission of the original organization was, and remains today, to be a vehicle for networking and information exchange among nurse executives. The organization has evolved to include some 200 members, with the inclusion of all nurses in leadership positions being eligible for membership. 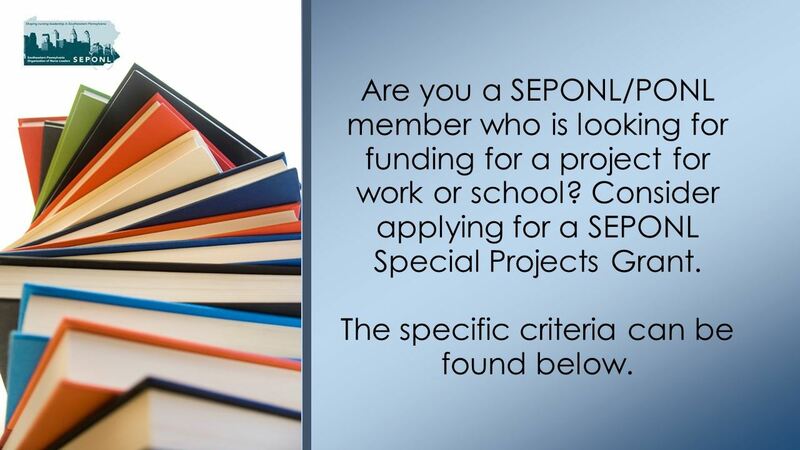 SEPONL is a non-profit, personal membership society which promotes excellence in the practice of nursing administration. Opportunities for leadership development through service on chapter committees. Review the conference brochure and register today! "Resilience: Moving from Surviving to Thriving"
Jen Croneberger is a 3-time TEDx speaker, published author, & former recipient of the Chester County Chamber of Business & Industry's Female Business Leader of the Year. She holds a Master's Degree in Sports & Performance Psychology, a Sustainable Business Strategy Certification from The Harvard Business School, and has been consistently voted a top motivational speaker in the Philly and D.C regions. Jen has spoken at the NIH, the USDA, The US Dept of Defense as well as the NADONA conference at Disney World Resort, the NJLN Annual Conference and for the leadership teams at Sentara Health Systems and MedStar Hospital. 2019 SEPONL Spring Conference is sponsored by LaSalle University, Medtronic and Masimo.